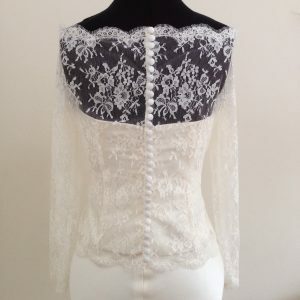 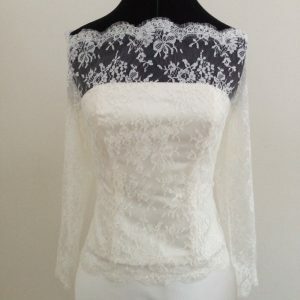 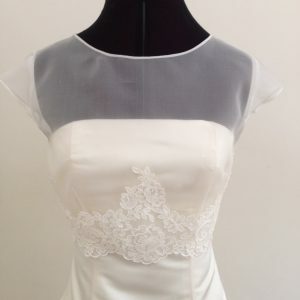 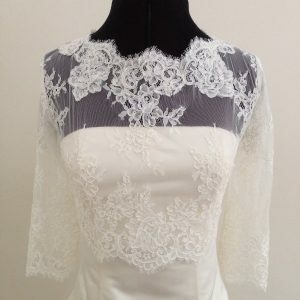 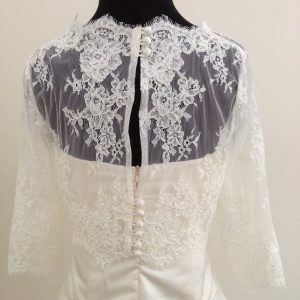 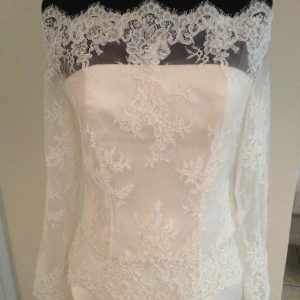 This bolero is made using a delicate French leavers lace which is a classic favourite. 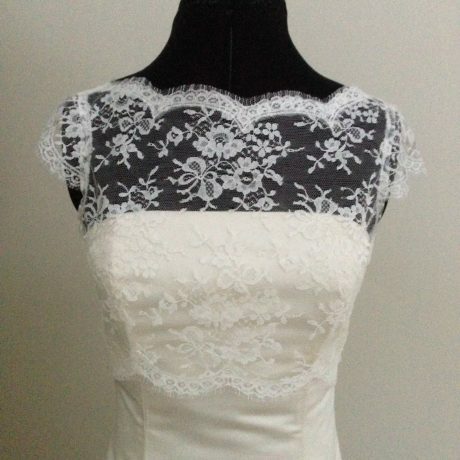 The beautiful “bow” design of roses together with a bow is exquisite. 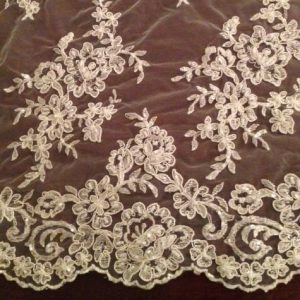 The lace is made of 70% cotton and 30% polyamide. 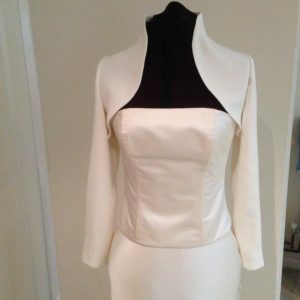 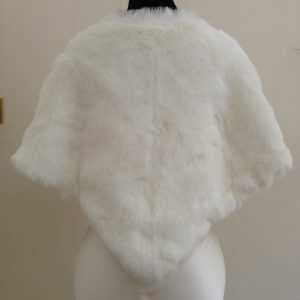 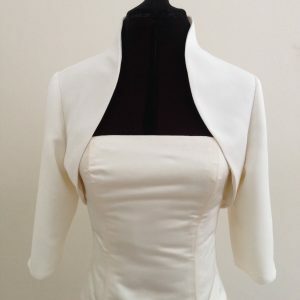 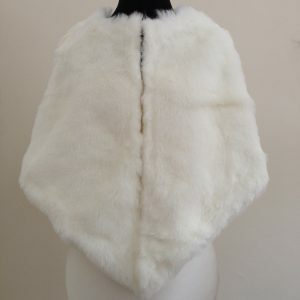 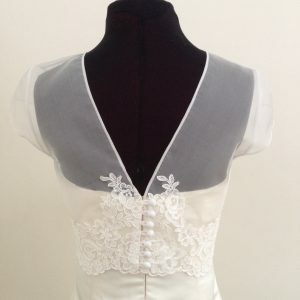 The design of this bolero has a slash neckline which sits high and wide at the front and comes low at the back, fastened with 3 loops and covered buttons. 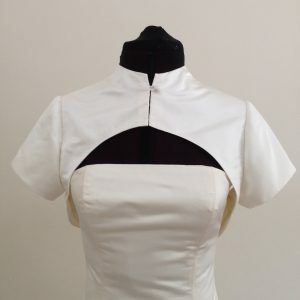 The cap sleeve is 4 inches/10cms deep. The length of the bolero is empire line which sits just under the bust, about 4 inches above the waist. 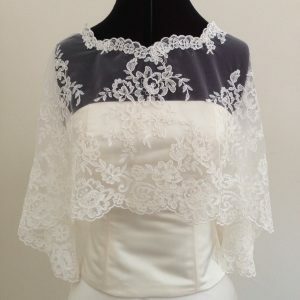 The bolero neck, hem and sleeve are finished with a matching scalloped edging. 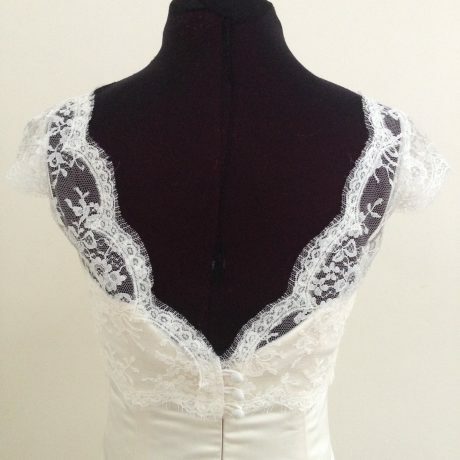 This bolero is to be dry cleaned using a sensitive care clean.